Quality off road lamps cost upwards of $350. BlingLights BL-200c off road lamps outperforms other name brand off road lamps at a fraction of the price. BlingLights makes it affordable, you make it yours. Experience the future of off road driving via an astonishing daylight-like visibility thanks to BlingLights BL-200c light technology. The BL-200c sports the large in class 6” diameter parabolic reflectors encased by hardened glass lenses used to properly focus the intense white output in a far casting yet wide beam pattern. 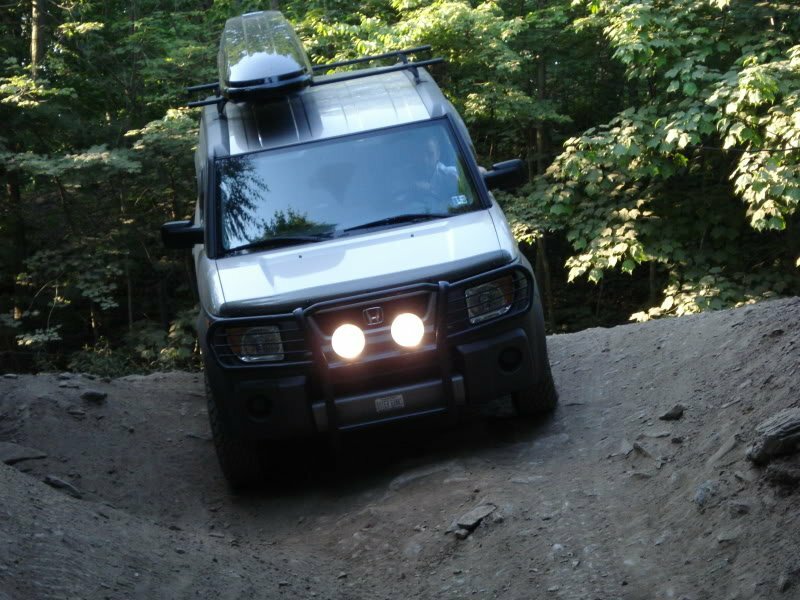 The result is an off road driving experience unlike any other you have ever seen. By combining driving and fog beam patterns eliminates the need for having to change the off road lamps for your different needs. In addition to increased visibility, BL-200c includes everything needed to install. BlingLights’ BL-200c lamp kit includes the BLSW10 factory style illuminated toggle switch that blends cleanly into any flat surface within reach or out of sight. Also included are the handsome Chrome removable lense guards at no additional cost. What types of bulbs come with this kit? Two powerful, genuine BlingLights H3 HID simulated halogen bulbs with an output of 55 watts a piece, 110 watts total! These bulbs are designed for maximum output and durability. The bulbs generally last many years without the need for replacement. There is a good chance the bulbs will outlast the life of the vehicle. H3 replacement bulbs are a common size bulb and can be purchased through us or anywhere else automotive bulbs are sold. The lamps are HID compatible. In the event the item received arrives damaged or wrong item was ordered or shipped contact us and we will resolve immediately. You are entitled to a full refund for any reason if item is mailed back within 60 days of receiving item. Item must be in the EXACT brand new condition it was received along with the order number and reason for return. Keep the free gift just for trying our product even if you decide to return. No RMA or prior authorization required in order to return. We are not responsible for any additional shipping charges which may be incurred to return products to us.